Spring is almost officially upon us with the clocks going forward on the 27th March. We at The Country Catalogue cannot wait for the lighter evenings for country walks and day trips with the family (weather permitting - of course)! 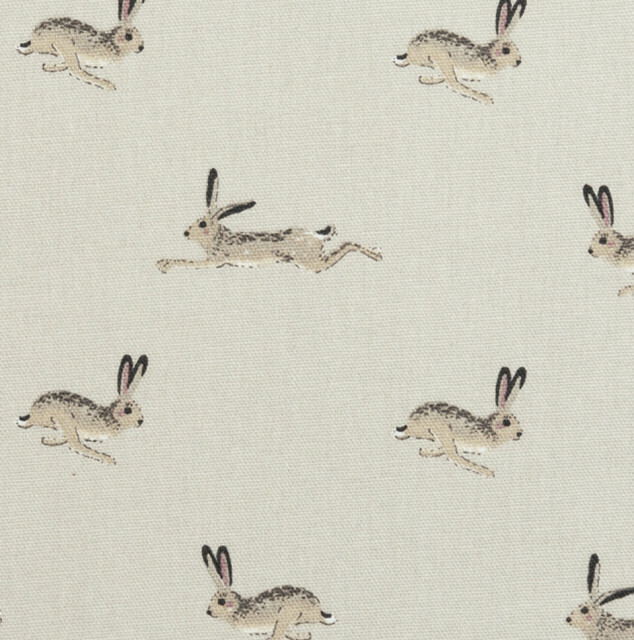 The Country Catalogue has just taken delivery of an exciting new range of Hare themed products, specifically from well known and loved brand - Sophie Allport. The Country Catalogue has stocked Sophie Allport products since 2013 and we cannot get enough of her gorgeous country themed kitchen linen, cards and other popular accessories. If you do not know what is meant by "mad as a march hare", this is referring to the specie's odd behaviours during the month of March which is considered their breeding season. Hares are known to jump vertically for no apparent reason and box with other hares. Woven Silk Tie - Boxing Hares illustrates this strange behaviour in a beautiful way, this luxury tie is a gorgeous shade of red that will compliment a black or navy suit perfectly and add a touch of the countryside to your outfit. Alternatively, wear as a part of your shooting outfit with a checked shirt. The Country Catalogue think this is the perfect gift for shooting/country enthusiasts and for those who are difficult to buy for! Referring back to Sophie Allport, The Country Catalogue will be stocking various products from the Hare and Pheasant ranges. We are particularly excited about the new Sophie Allport Hare Double Oven Gloves since they are so gorgeously illustrated with lots of little Hares running around. They are ideal for keen cooks and bakers and for keeping a country theme in amongst your kitchen. Sophie Allport Hare Double Oven Gloves are made of 100% cotton and come with a handy "loop" for you to hang them up. For a co-ordinating item, you may want to take a look at Sophie Allport Hare Tea Towel which is perfect for drying up the dishes in style! The Country Catalogue is also stocking Sophie Allport Tea Cosy, fantastic for keeping a teapot hot whilst adding a country theme to your breakfast table. Like the Double Oven Gloves and Tea Towel, the Sophie Allport Tea Cosy come with a loop for hanging up.